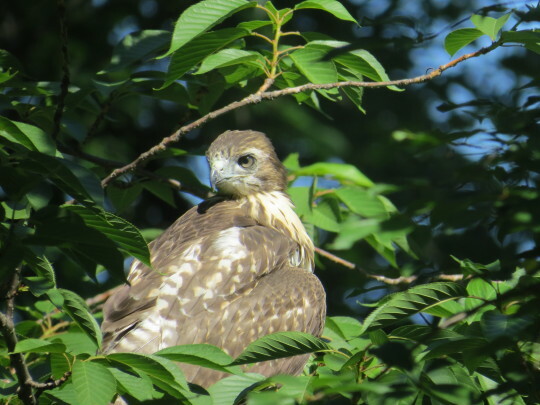 Well, we thought seeing the hawks fledge would be the highlight of this hawk-watching experience, but the birds keep upping the ante. 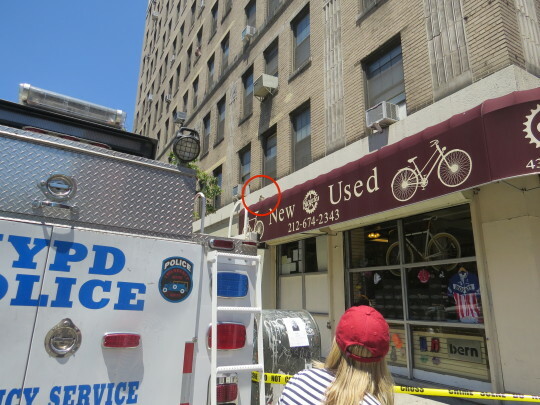 The Wayward Fledgling (who tried to return to the nest a day after leaving, and spent the next evening above Bibi on 4th St.) returned to 3rd St. and Ave. A again today, and it drew a bigger crowd than U2 playing a surprise show in the subway. Unfortunately, people didn’t give it enough space and it was scared into the flower section of a deli, where a man (irresponsibly, may we add) shooed it away with a rolled-up newspaper. 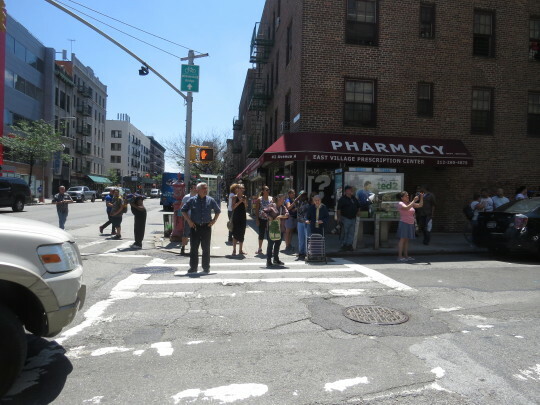 From there it flew into the window at TwoBoots, where Ceili Clemenson was eating a slice. 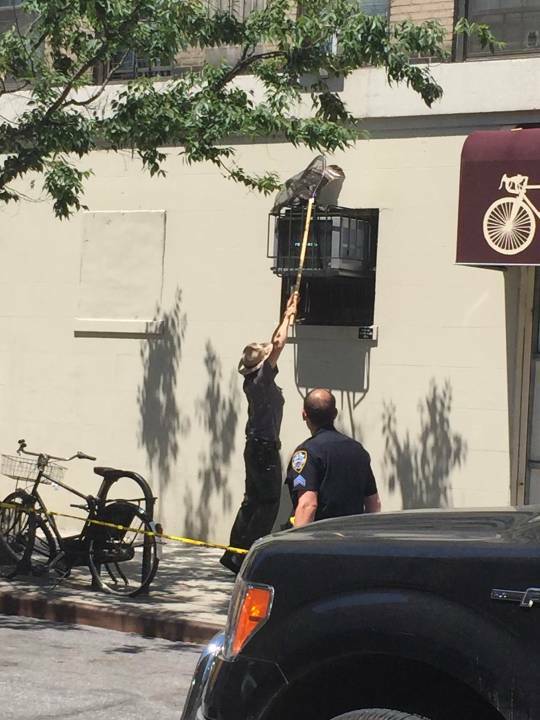 Ceili, who helped rescue an injured juvenile hawk years ago in Dumbo, came out of the restaurant just as the 9th precinct police arrived. 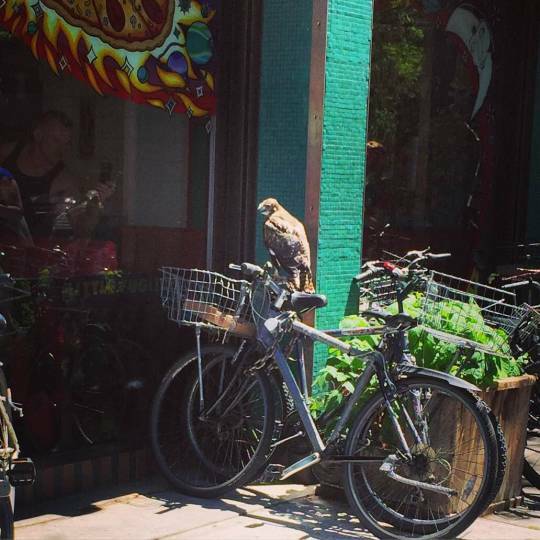 The hawk got stuck among the delivery bikes at TwoBoots and an officer helped to free it. 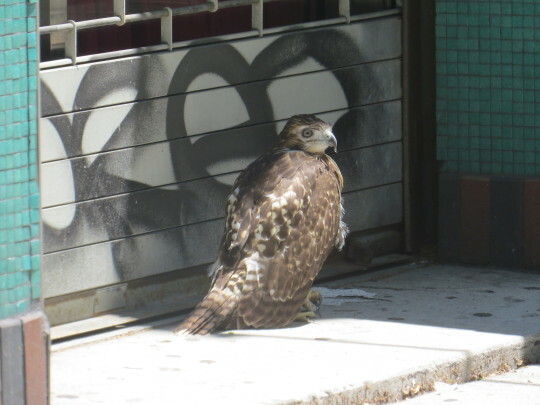 I arrived on the scene and Ceili, Jennifer, and Vaydra Alexander (another wonderful protector of wildlife) all helped the police keep people away to give the hawk space (no easy task if you know New Yorkers). I called Urban Ranger Rob Mastrianni and informed the police that he was on the way. 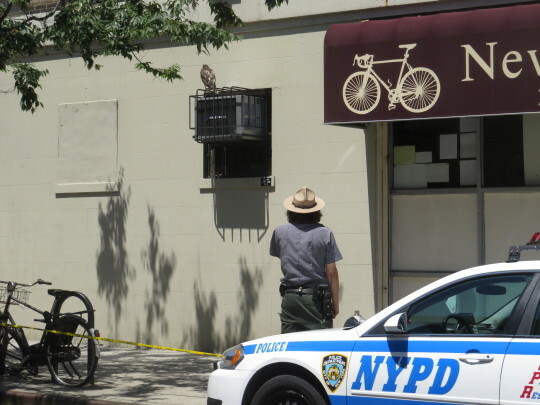 The bird was very nervous and eventually took a running start and flew up across Ave. A to the awning of Landmark Bicycles. 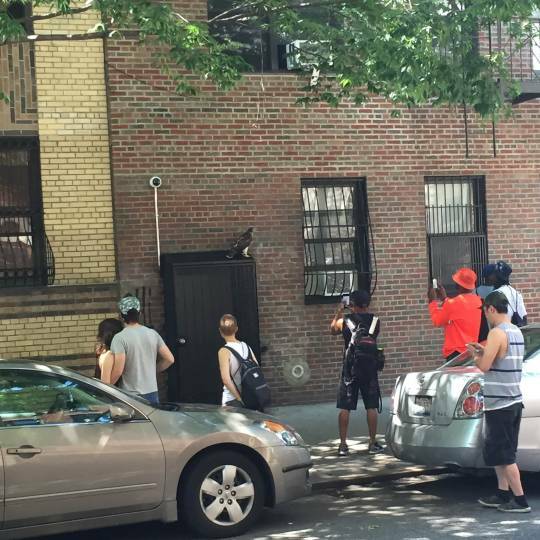 The police cordoned off the area and helped keep curious onlookers at bay while we waited for Ranger Rob (who has a history of saving hawks in our neighborhood) to arrive. 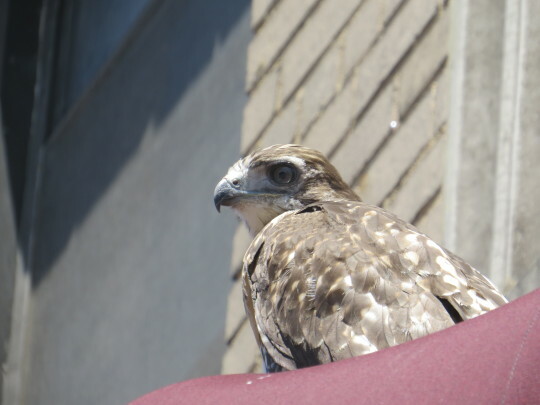 …the young hawk’s parents looked on from the cross on the church. 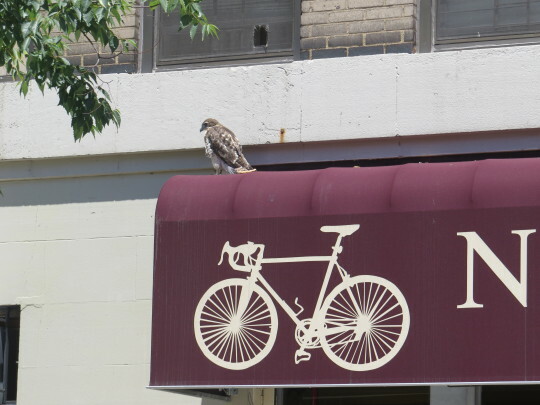 The hawk had moved onto a familiar spot (an AC!) by the time Ranger Rob arrived to assess the situation. …and I had the honor of assisting with the rescue. 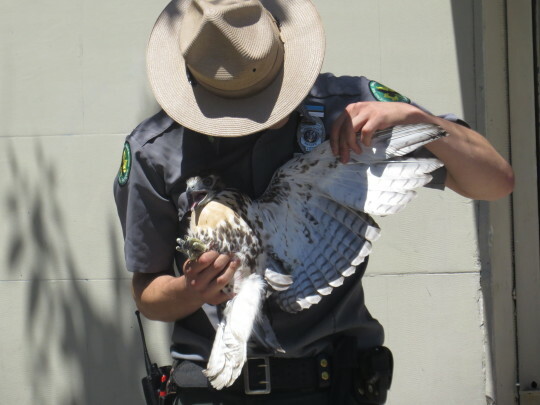 Once the hawk was safely in his grasp, Ranger Rob checked it over to ensure it was healthy. In Rob’s kind and experienced hands, the bird remained calm the entire time. 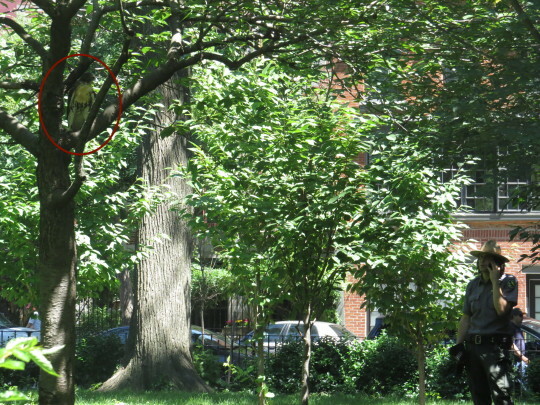 Then, following Ranger Rob and the bird-in-box, a small procession of dedicated hawk lovers marched to Tompkins Square Park to witness its release. How could you not love this guy? And the hawk too. 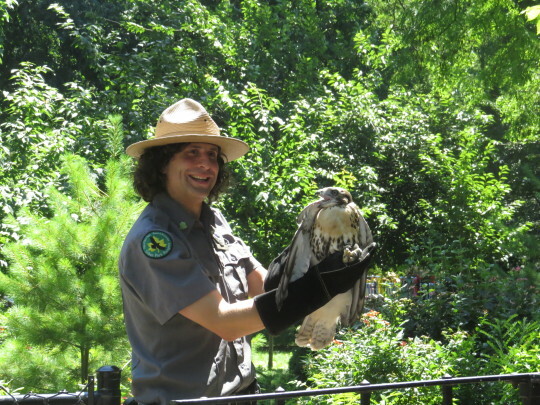 Ranger Rob placed the fledgling into a tree. Believe it or not, this was probably its first time in a tree! 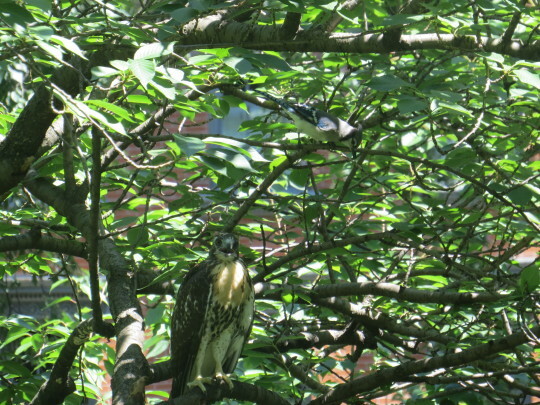 Immediately, the blue jays felt threatened and started to screech and fly around the hawk. But it didn’t seem to mind. It relaxed in the tree for hours. 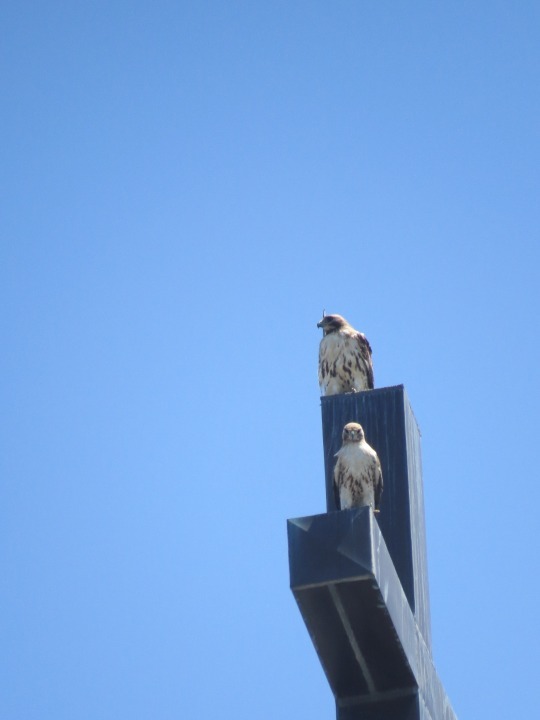 The parents were seen soaring above, which is a great sign because they know where it is and can feed it as needed. What a journey! 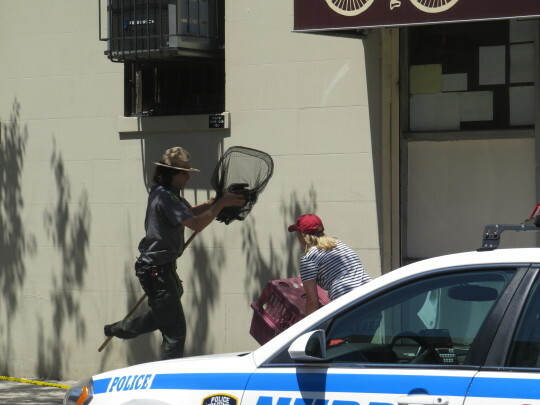 A big thanks to the boys in blue of the 9th precinct, Jennifer, Vaydra, and Ceili, and especially the greatest ranger in town: Rob Mastrianni. 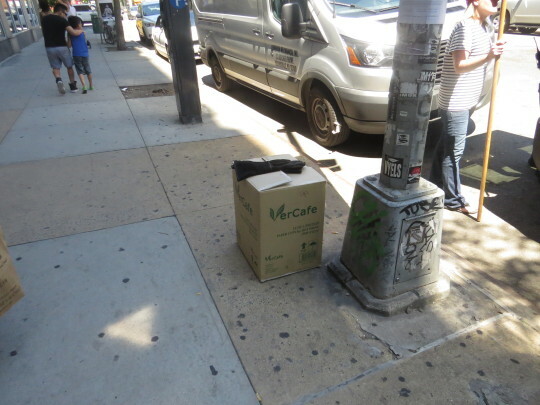 New York City is a wild place and, in a way, we are all wild creatures living in an urban jungle. Today, so many people worked together to support one young hawk. This was such a beautiful thing. 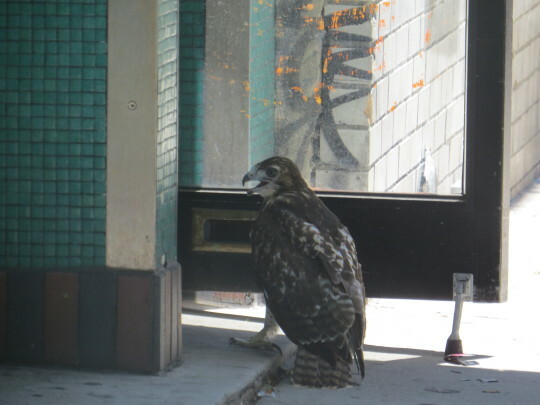 Previous Previous post: The Wayward Fledgling can’t get enough of 3rd St.